75125 Resistance X-Wing Fighter is be a Star Wars: Episode VII The Force Awakens set released in 2016. It contains a T-70 X-wing with blue markings. 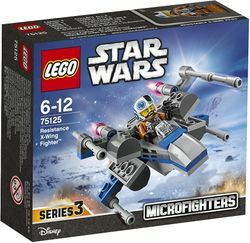 Facts about "75125 Resistance X-Wing Fighter"
This page was last edited on 10 June 2017, at 01:32.